Do you want to make your own essential oils? Then you´ve come to the right place! Do you want to make your own essential oils? Home made essential oils: In this category you can find everything you need to make essential oils yourself. 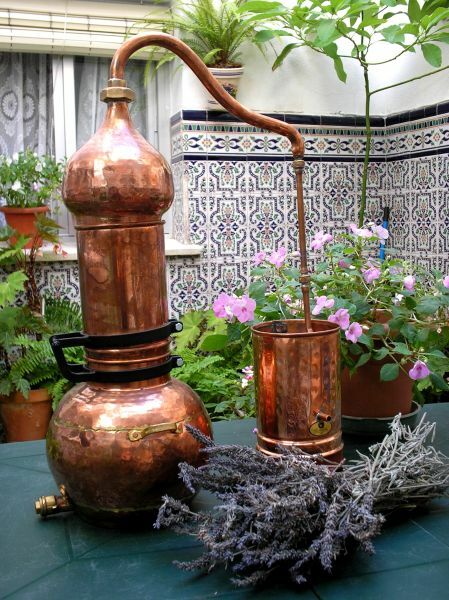 The right stills, oil separators to separate the oil from the herbal distillate, or all sorts of further aids like graduated pipettes, small bottles and flacons. In addition to that, we supply various perfectly blended fragrance mixtures from pure essential oils, as well as devices for enhancing the air at home or in the office. Destillatio provides everything you need for the production of your own essential oils, perfumes and natural remedies!